Lloyd Bridges | 50 Westerns From The 50s. 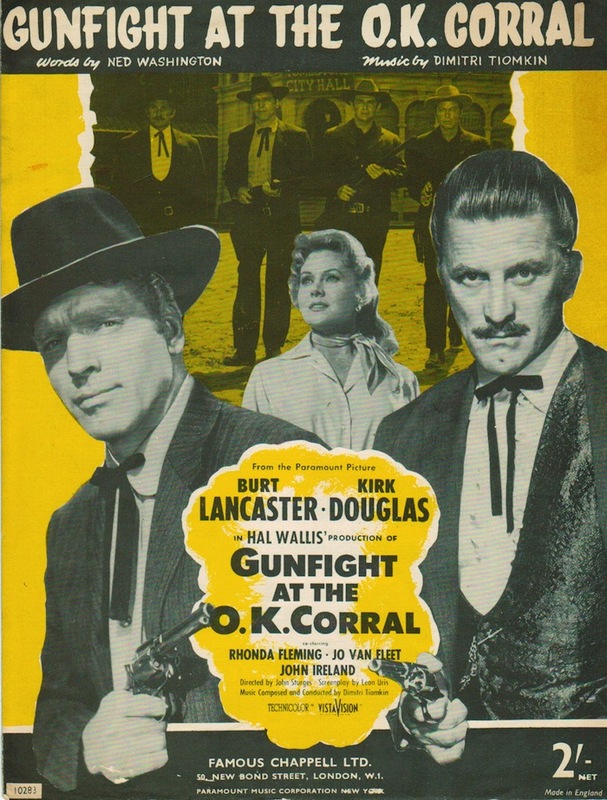 50s Westerns Blu-ray News #218: High Noon Signature Edition (1952). 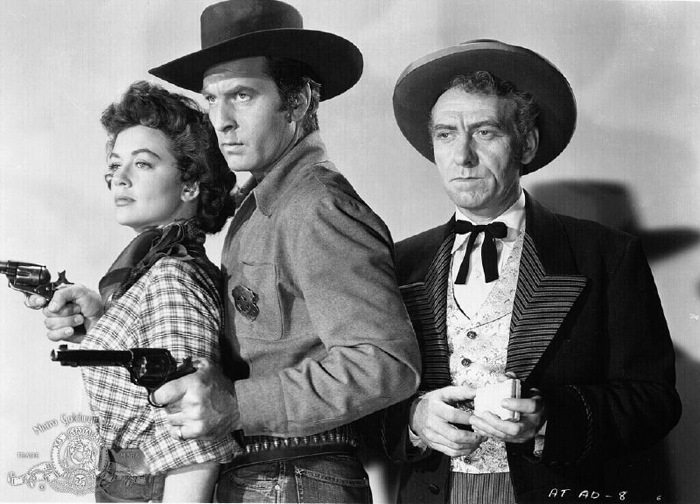 High Noon (1952) is coming to Blu-ray again, like Johnny Guitar in a Signature edition from Olive Films. It’s worthy of such attention, for sure — though you’ll have to decide for yourself if this is worth any additional investment. (This double- and triple-dipping is a bit of a sore subject around here.) The new 4K transfer comes with plenty of extras, and I’m sure it’ll be a terrific disc. It’s coming in September. 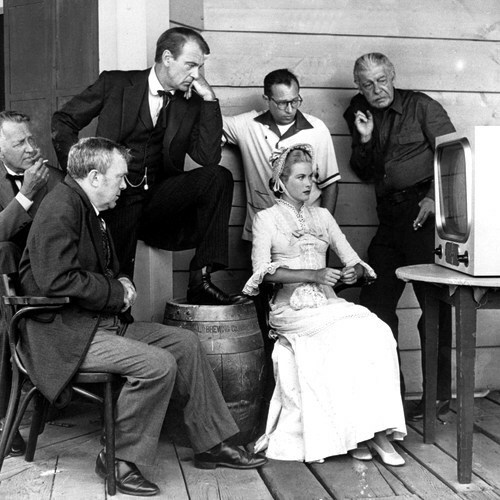 In the photo above, the director and cast take a break for the 1951 World Series. 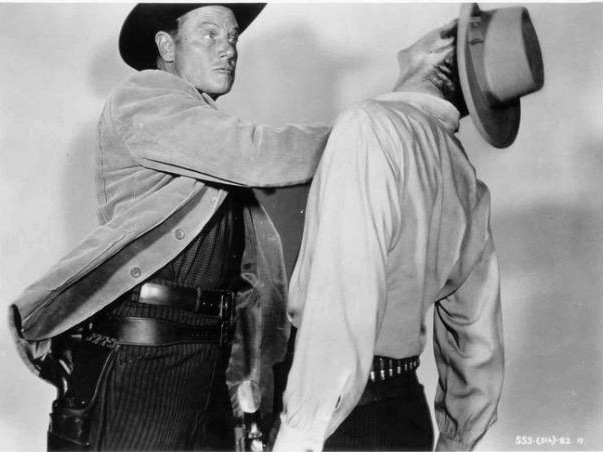 Pre-50s Westerns Blu-ray News #215: Canyon Passage (1946). 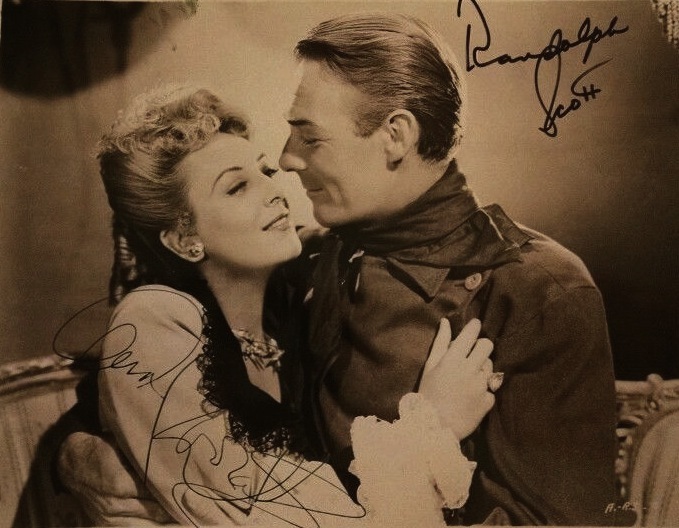 Here’s a good one coming from the fine folks at Panamint Cinema — Jacques Tourneur’s first Western, Canyon Passage (1946). 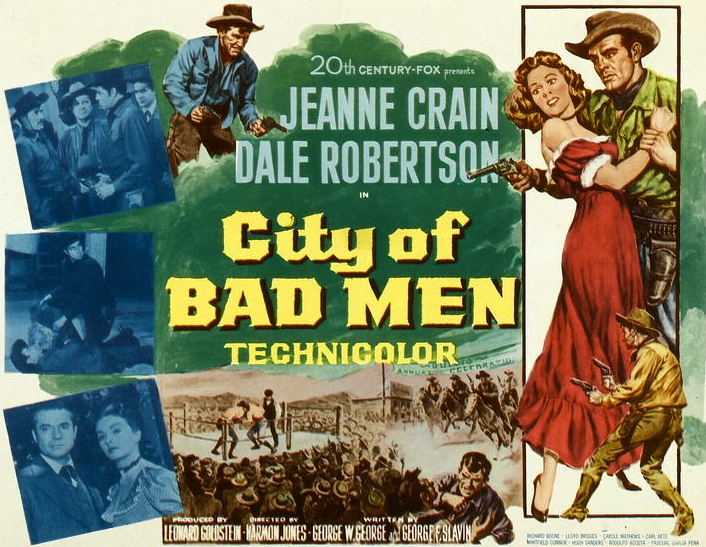 This has been available elsewhere for a while, but this will be a great opportunity to experience its eye-popping Technicolor in high definition.Remember what a great job Panamint did with Abilene Town (1946)? Watch for it in July. Highly recommended. 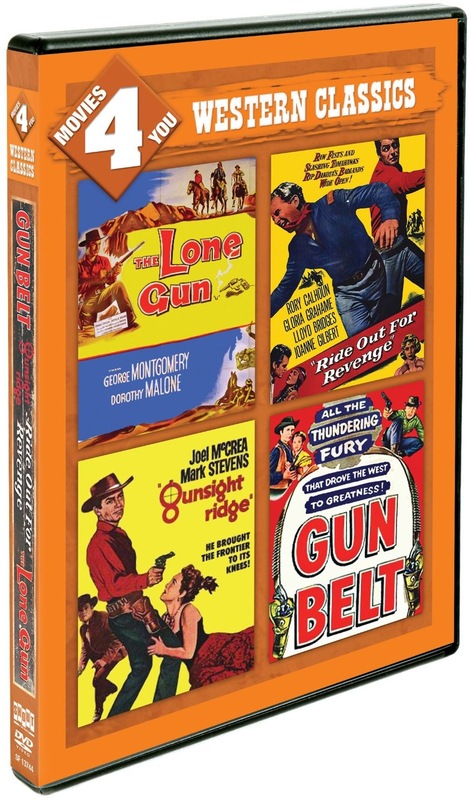 DVD Review: Movies 4 You Western Classics (Gun Belt, The Lone Gun, Gunsight Ridge, Ride Out For Revenge). 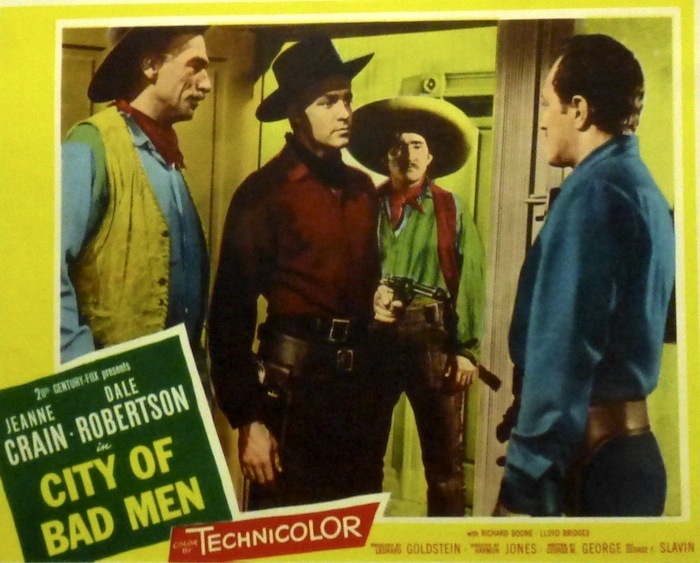 Shout Factory has done us all a huge favor, pulling four 50s Westerns from the MGM/UA/Fox libraries — featuring no less than George Montgomery, Rory Calhoun and the mighty Joel McCrea — and offering them at a great price. All four pictures boast nice, clean transfers. They’re all presented full-frame, though three (the post-1953 titles) played theaters cropped to widescreen. I played around with the zoom on my HDTV and was satisfied with the results. As we all know, there are dozens and dozens of films like these, and the more the better. Let’s hope this is the first of many. 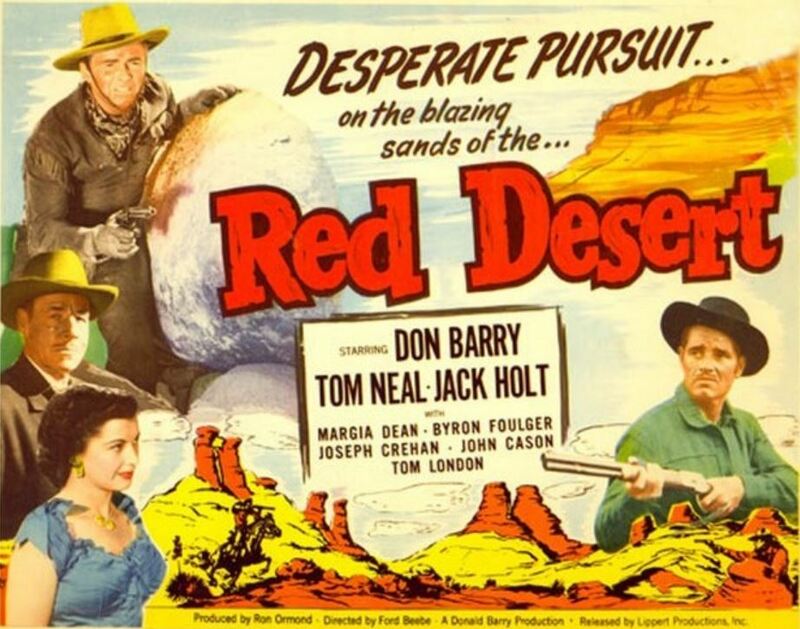 CAST: George Montgomery, Tab Hunter, Helen Westcott, John Dehner, Jack Elam, James Millican, Willis Bouchey. 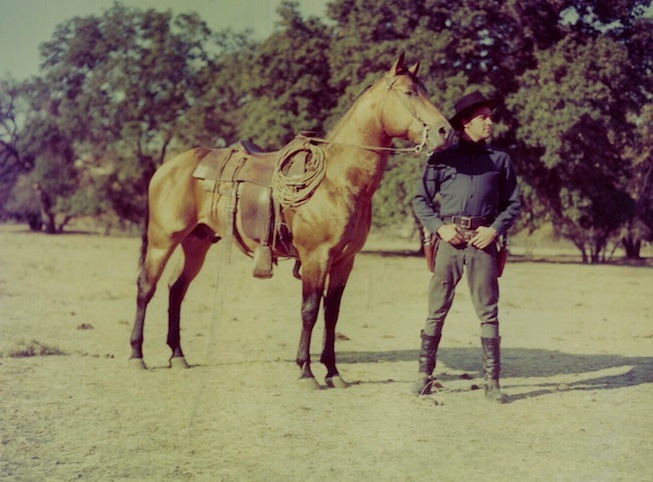 George Montgomery is Billy Ringo, a gunslinger who wants to settle down. We’ve all seen enough of these films to know how that usually works out. 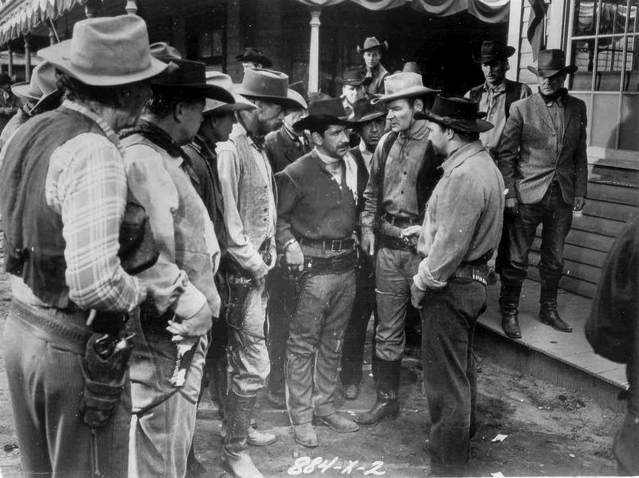 Before the picture’s 77 Technicolor minutes are up, Johnny Ringo hands Ike Clanton over to Wyatt Earp! 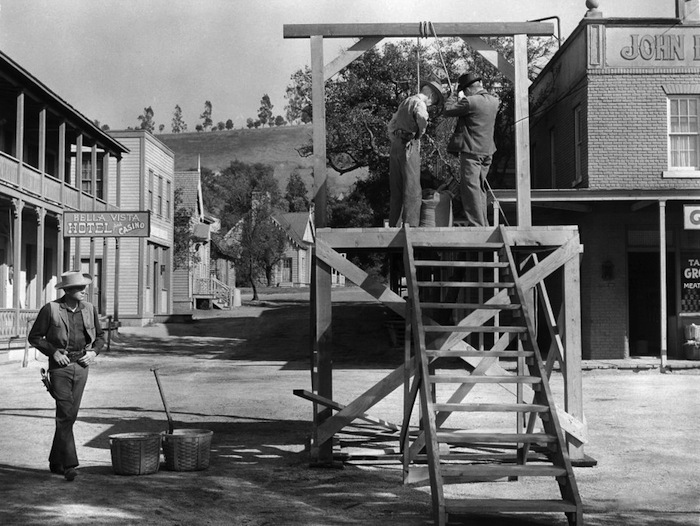 Director Ray Nazarro began his career as an assistant director in the Silents and ended it with these George Montgomery films, a few with Rory Calhoun and TV for Gene Autry’s Flying ‘A’ Productions. CAST: George Montgomery, Dorothy Malone, Frank Faylen, Skip Homeier, Neville Brand, Robert J. Wilke. Who cares what it’s about when you have Montgomery, Dorothy Malone, Skip Homeier and Frank Faylen, not to mention Ray Nazarro, on hand? 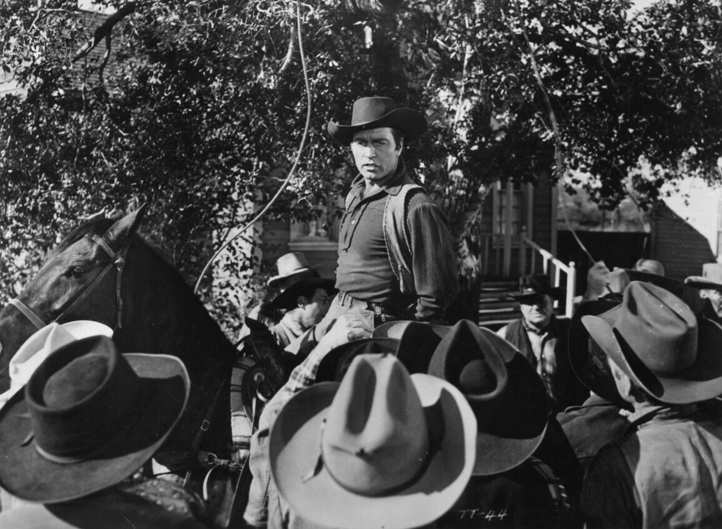 For what it’s worth: George Montgomery goes after the Moran brothers — alone, thanks to the gutless townspeople. Produced by the Color Corporation Of America, it was probably done in the SuperCineColor process. It looks good here, with the color surprisingly true. It was originally run 1.66. 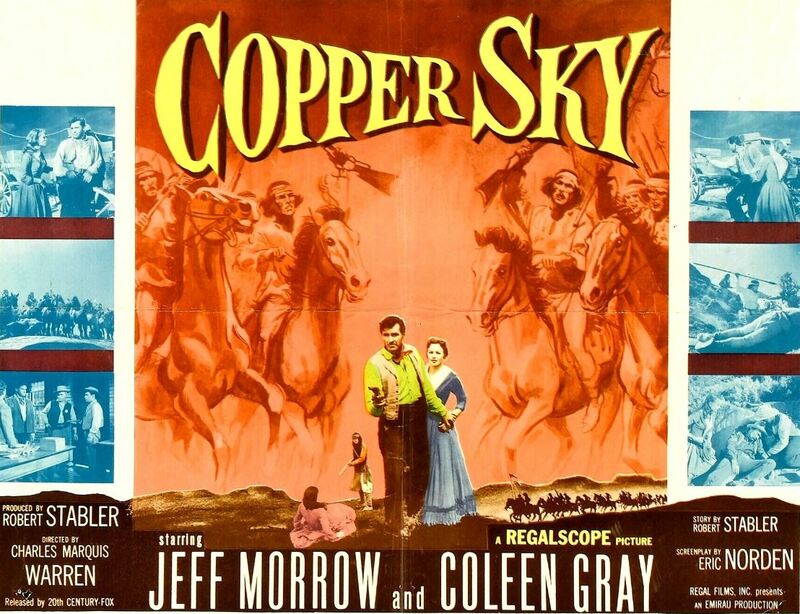 CAST: Joel McCrea, Mark Stevens, Joan Weldon, Slim Pickens. I found this a good, tight little Western — better than its reputation. 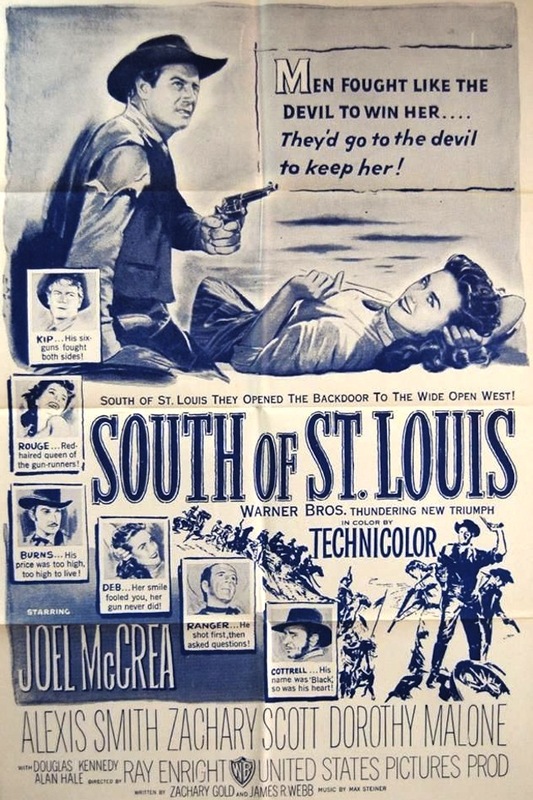 McCrea’s charm and strength, along with Ernest Laszlo’s beautiful black and white cinematography, make the most of an uneven script. 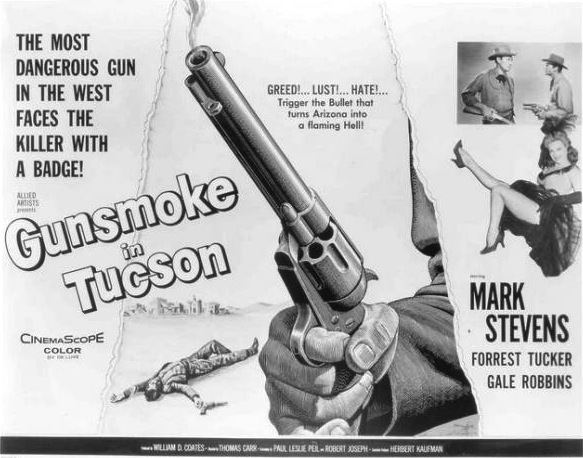 Mark Stevens is a tortured, evil bandit pursued by McCrea, as a Wells Fargo agent, through and around Old Tucson. 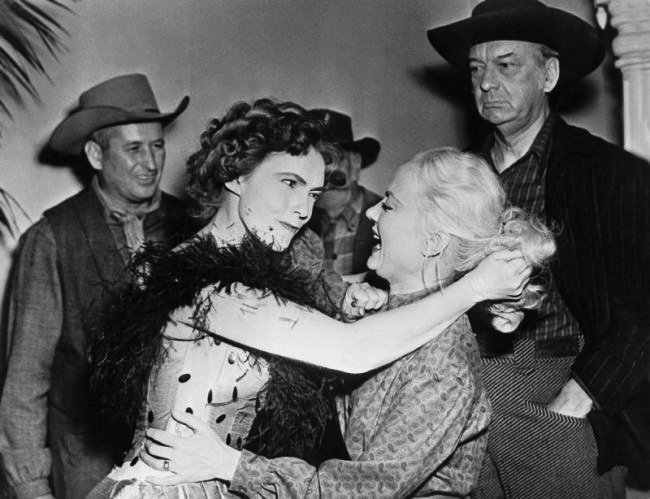 Joan Weldon is wasted in a nothing part, but Carolyn Craig — who’s in a couple of my favorite films, Fury At Showdown (1957) and House On Haunted Hill (1959) — has a nice scene at the end of the picture. There are enough ideas here for half a dozen 50s Westerns — Stevens being a frustrated pianist is a good one — but they aren’t given the time and attention they need in this brisk 85 minutes. Those with a keen eye and a nice TV will see a jet trail and an autombile. CAST: Rory Calhoun, Gloria Grahame, Lloyd Bridges, Vince Edwards. 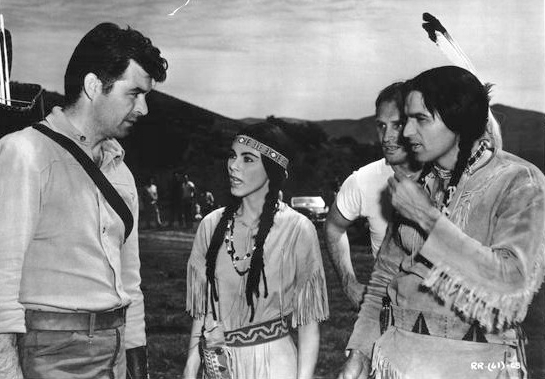 In the mid-50s, a number of Westerns went beyond the sympathetic, or apologetic, approach to Native Americans of, say, Broken Arrow (1950) and tackled racism itself. John Ford’s The Searchers (1956), of course, is the best of these — though I urge you to seek out George Sherman’s Reprisal! 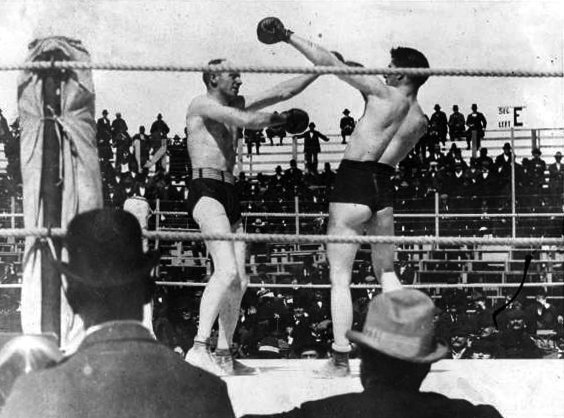 (1956). Ride Out For Revenge is a solid B film, from Kirk Douglas’ Bryna Productions, that manages to make its point without sacrificing action. Probably the best film in the set, and I have to admit I knew almost nothing about it beyond the title and cast. A real find. Beulah Archuletta, “Look” in The Searchers, can be seen in a couple shots. 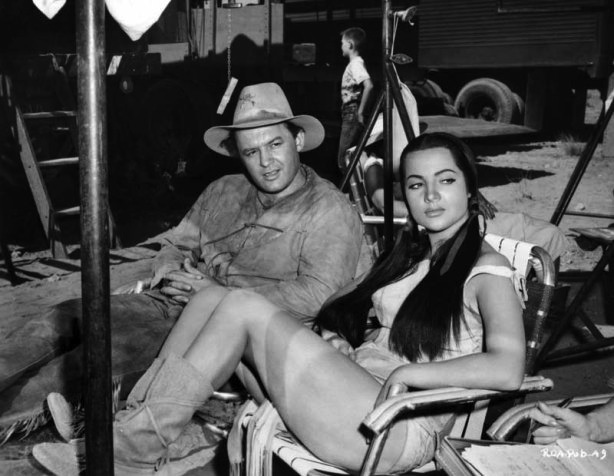 She’s also in Calhoun’s The Hired Gun, from the same year. This blog was set up to champion films like these, and I urge you all to give Shout Factory a strong economic reason to release further volumes.